Rheinmetall Defence Australia has kicked off its tour of Queensland as it looks to secure the $5 billion LAND 400 Phase 2 project. QueensLAND 400, a roadshow that will run through Brisbane to Cairns this month, will give SMEs the opportunity to discuss potential business opportunities if Rheinmetall is chosen for the project. Brisbane SMEs were the first to be briefed, at an event at small arms supplier NIOA's headquarters, followed by businesses in the Ipswich region at the second briefing. The Sunshine Coast will play host to the third briefing today. If chosen as the successful tenderer over competitor BAE Systems Australia, Rheinmetall will establish its Australia and New Zealand headquarters, as well as a Military Vehicle Centre of Excellence (MILVEHCOE), in Queensland. Currently the largest supplier of military vehicles to the Australian Defence Force, Rheinmetall said its MILVEHCOE would provide a sovereign industrial capability for the continuous design, manufacture, export and support for military vehicles, turrets and tactical systems. Rheinmetall has also said the MILVEHCOE will work to create a supply network across Australia to deliver products and services from local industry into the Rheinmetall global supply chain. The MILVEHCOE would be the focal point for the LAND 400 combat vehicles, LAND 121 logistics vehicles and other complex defence projects. The company said advanced manufacturing jobs would be created in a wide range of technologies including military vehicle design, medium calibre weapons and ammunition, protection systems, fire control and surveillance systems, and systems engineering and integration. The MILVEHCOE would also include significant design, prototyping, manufacturing and system test capabilities; including a mobility test track, a medium calibre firing range and an electromagnetic compatibility test chamber. 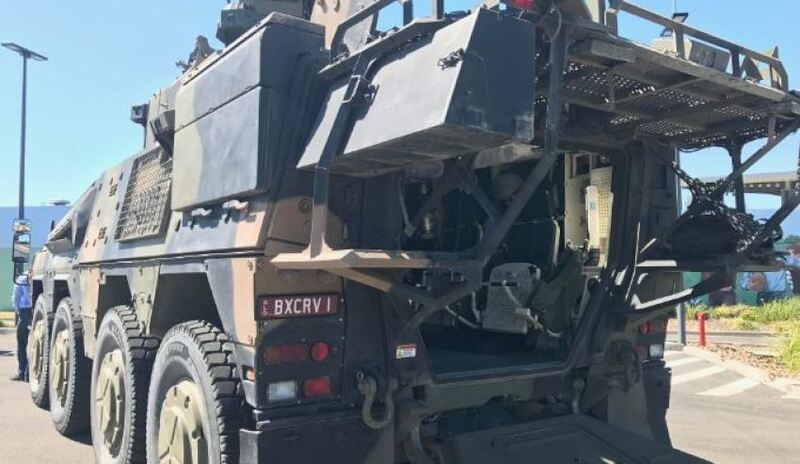 Ben Hudson, Rheinmetall Defence executive board member and global head of vehicle systems, said Queensland was chosen as the preferred location because of its access to the Australian Army and the state's workforce. "Queensland is an outstanding location to establish the MILVEHCOE," said Hudson. "The state offers a range of significant attributes including access to the Australian Army, industry partners, a skilled workforce and an excellent site to build a state-of-the-art facility. Queensland's Treasurer and Minister for Trade and Investment Curtis Pitt added that industries in Queensland outside of defence would also benefit if Rheinmetall are chosen for the project. "If it wins, Rheinmetall has committed to design, manufacture and maintain its Boxer CRV vehicle, as well as its existing defence manufacturing and maintenance business, in Queensland," said Minister Pitt. "Defence industries employ approximately 6,500 Queenslanders across the state from Cairns to the Gold Coast, and generates more than $4.2 billion in annual revenue. "Clearly this is big business for our state and we’re well equipped to meet the future requirements of the major global defence industries, and that's why we're confident we can bring the contract to Queensland." If Rheinmetall wins the contract, the company expects the new Queensland establishment to generate at least 450 full-time equivalent jobs over 10 years across Queensland’s defence supply chain. State Development Minister Anthony Lynham said these jobs would also benefit other Queensland companies. "Most of these will be highly skilled, highly paid advanced manufacturing and engineering jobs, the jobs of the future we want for Queensland," Minister Lynham said. "The transfer of technologies and skills to Queensland companies will make them even more competitive globally and will have far-reaching benefits across the entire industry. "A whole new military vehicle manufacturing industry will be a game-changer for decades to come." Under the LAND 400 Phase 2 contract, Rheinmetall would need to have its facility completed by mid-2020 to supply the first Boxer CRV by 2022. Minister Lynham added that the Palaszczuk government put a compelling case to BAE for Queensland to also be its preferred location, but Victoria has since been chosen as BAE's preferred location for the LAND 400 Phase 2 project build.